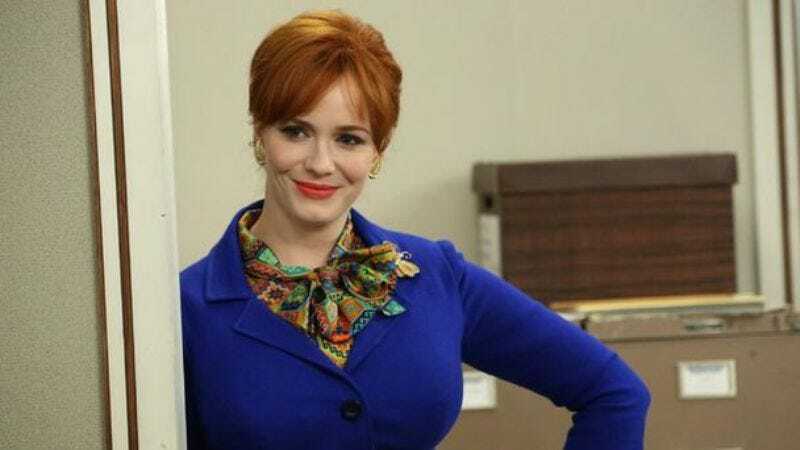 Fresh off the end of Mad Men, Christina Hendricks has signed on as a possible love interest in the Ice Cube and Charlie Day comedy Fist Fight. Hendricks will play a drama teacher afflicted with a crush on Cube’s manly-man educator, while also presumably having to put up with a lot of Charlie Day yelling hysterically (in both senses of the word). It’s Always Sunny In Philadelphia’s Richie Keen will direct the film, which we’re just going to step in and suggest—given that it also features Tracy Morgan and Dean Norris as faculty members—should change its name to The School That Everybody Wants To Go To. Hendricks’ film docket has been filling up of late; she’s recently been attached to Nicolas Winding Refn’s The Screaming Neon, plus that World War I movie where she’s going to play a witch doctor. Let’s just keep our fingers crossed that she’ll be able to adapt to Fist Fight’s exotic 2015 setting easily, and that it won’t send her into some sort of horrible bout of period-piece-induced culture shock.